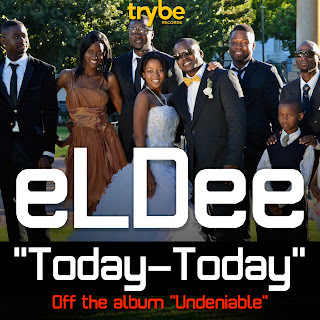 Trybe Records shot two videos for eLDee's new singles "Higher" and "Today-today" off eLDee's "Undeniable" album, and one for Sheyman's brand new single "Celebrate" off his forthcoming album "Zero to Hero". All three videos are scheduled to go live from next week beginning with eLDee's "Today-today". Sheyman's "Clebrate" follows shortly after. eLDee recently completed the Undeniable project, re-mixed all songs in New York, and mastered the album in Argentina. According to eLDee "this is by far my most exciting album and I really want the experience to be truly refreshing for all my fans. I hope you enjoy the album as much as we did making it". Undeniable is scheduled for release in April 2012 and shall be exclusively distributed by IMAN ONE, an IMAN Entertainment company.